"This is a budget accom in a good area." Have a question for Hotel Pension Baronesse? When visiting Vienna, you'll feel right at home at Hotel Pension Baronesse, which offers quality accommodation and great service. From here, guests can enjoy easy access to all that the lively city has to offer. With its convenient location, the hotel offers easy access to the city's must-see destinations. At Hotel Pension Baronesse, the excellent service and superior facilities make for an unforgettable stay. To name a few of the hotel's facilities, there are free Wi-Fi in all rooms, 24-hour front desk, luggage storage, Wi-Fi in public areas, airport transfer. Hotel Pension Baronesse is home to 39 bedrooms. All are tastefully furnished and many even provide such comforts as television LCD/plasma screen, internet access – wireless (complimentary), non smoking rooms, heating, wake-up service. Besides, the hotel's host of recreational offerings ensures you have plenty to do during your stay. 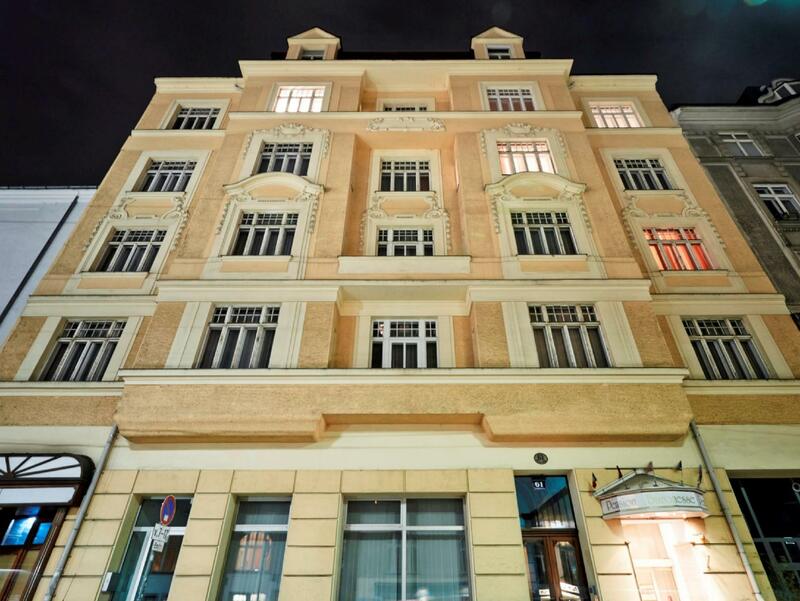 Hotel Pension Baronesse is an ideal place of stay for travelers seeking charm, comfort and convenience in Vienna. "Quiet hotel just a couple blocks from the city center." Ambiance of the room was nice. Breakfast was awful. I thought that there must be some more breakfast food anywhere else, but i could not find. You have to handle your hungriness with a couple of some food. Room was not cleaned. You can see dust in everywhere. And there was no curtain on two small windows. You can be monitored from outside easily. Staff was kind. Very clean, comfortable and great price. Cheats!! Rude staff with no outstanding of customer service -only interested in helping if you have blue eyes and blonde hair!! Very poor hygiene, uncleanliness not existent. This hotel really great. Value for money. Near with attraction place. I guess Vienna is pricey. This is a budget accom in a good area. I had a nice conversation with the breakfast lady who forgave me for coming in so late one morning! I don't have other hotels in vienna to compare with but the property was very cramped and with the heat, having no air con was difficult. Considering the relatively high price for what you were getting, not having free water in the room but a bottle priced at an extortionate 3.50 and a nespresso machine taking up the one table in the miniscule room, for which they charged 1 euro per capsule. It all worsened the experience. Considering the limitations of the property, some minor token gestures of genorsity would go some way. But maybe that's just not done in Vienna. Despite my reservation for 2 adults and one child the staff was unable to provide us with an extra bed or baby bed for our 3 years old child. Moreover an extra blanket was also problem. We ended up with an extra sheet and me sleeping on the floor. Hardly experience worth of 4* hotel. Very simple a hotel, to sleep. Safe, clean, but nothing special. I'd stay again, if I needed too and I stayed as of the price and location, so nothing to complain about. The location was good. Could walk to most places but had terrible sleeps as it's on the main road with the trams and night clubs. Hotel offers no facilities. Not even complimentary water or tea and coffee. The staff were far from friendly or helpful. Although, the room was nice and big for Europe. It was really good, except the noise from the road and some really worn objects in our room (e.g. over bed lights, sofa textile...). No curtains at the side small windows, short in length. Good location, old building with old carpet, doors could use a paint job. Some rooms are wery good size, some are very small. Ich war überrascht über das abwechslungreiche Frühstücksangebot. Das Personal nett, zuvorkommend und auf die Wünsche der Gäste eingehend. das Einzige, was dem Reinigungspersonal mitgeteilt werden soll: Wenn die Handtücher nicht auf dem Boden liegen, dann möchte der Gast sie noch mal benutzen. Sie meinten es immer zu gut damit. Ich würde zu jeder Zeit gerne wieder kommen.